Vaccinations are one of the most significant advancements we’ve achieved in the medical field. They help protect us from many serious and often preventable life-threatening diseases. Additionally, the infections and other symptoms brought by these diseases can cause severe conditions later on in a child’s life. Issues like infertility, loss of hearing, and even brain damage. Thus, it’s the parents’ responsibility to obtain vaccines for children. It’s unfortunate that many children succumb to preventable diseases because they didn’t get the vaccines they need in time. As parents and guardians, you want the best possible start in life for your children. From making sure they have the appropriate car seats, eating healthy and nutritious meals to baby and child-proofing their environments from any potential dangers. A vital way to provide them a healthy start in life is making sure they receive the vaccines for children they need – as recommended by your family physician or pediatrician. As if you need more convincing, here are more important reasons to vaccinate your children. 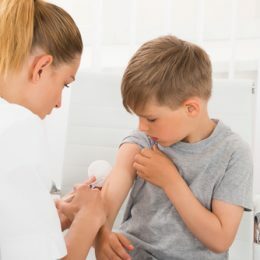 Vaccinations, before they are made available to the public, have undergone a long, thorough, exhaustive, and careful analysis and evaluations by scientists, chemists, doctors, and other medical and science professionals. The side effects children may experience is the discomfort and sting they get at the injection site. There may be some redness and soreness that can last a few hours. But that’s it. Frankly, these side effects are negligible compared to what conditions you may experience from the diseases these vaccines are meant to protect you against. There are cases of severe side effects from vaccines such as allergic reaction. But those are isolated cases and are extremely rare. The benefits of vaccines for children far outweigh the risks of these possible short-term side effects. They are invented to save lives. Vaccinations are a product of decades of science and research. Thanks to these medical advancements, we can protect our children from diseases that used to cause death and severe ailments. Before vaccinations, diseases like polio was immensely feared because it can cause paralysis and even death. Nowadays, polio, along with rubella, and diphtheria are diseases of the past and are no longer common in the country – all thanks to the effectiveness of vaccinations. Vaccines save lives. Plain and simple. They protect your children and other people’s children. Unfortunately, despite the effectiveness of vaccines, we still see outbreaks of vaccine-preventable conditions throughout the country. Outbreaks of mumps, measles, and whooping cough have been recently recorded. It’s not surprising that these outbreaks occurred in places with lower vaccination rates. These diseases could not have happened if only people got vaccines for children. Infants and children depend on their parents and guardians. They can’t protect themselves against diseases yet. 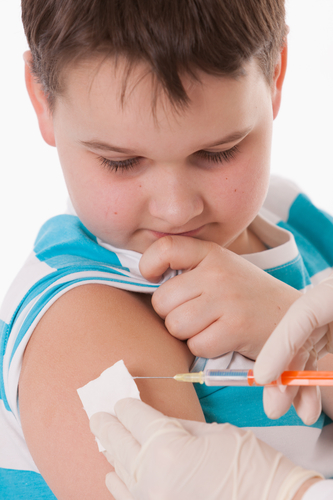 Ensuring that you and your children are vaccinated has positive effects. Babies and children with weaker immune systems, in particular, may be too young or too weak to receive certain vaccines. If you and your children are vaccinated, that means you won’t contact diseases that may, in turn, prove fatal to babies and children with weaker immune systems. It’s your responsibility as a member of the human race to get the proper vaccinations you need, so you can be instrumental in preventing the spread of diseases – especially to more vulnerable individuals such as children with weaker immune systems and babies. 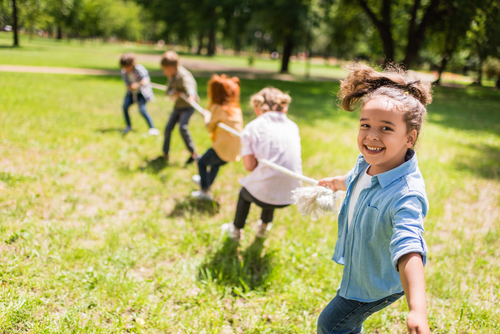 If your child gets sick because of a disease that could have been prevented by a vaccine, he or she may need to take several days off school, depending on the condition. You, as a parent or guardian, may also need to skip work so you can take care of your child at home. This situation will lead to a loss of time and money. Additionally, many of these diseases can bring prolonged or even lifelong disabilities. These disabilities can add to the costs of lost time and money. Key takeaway: Vaccines can keep you and your children out of the hospital and thrive in life. If you don’t vaccinate your children, you are putting yourself, your children, and others at grave risk. If you need more information about vaccines for children, please visit the website of the Centers for Disease Control and Prevention.